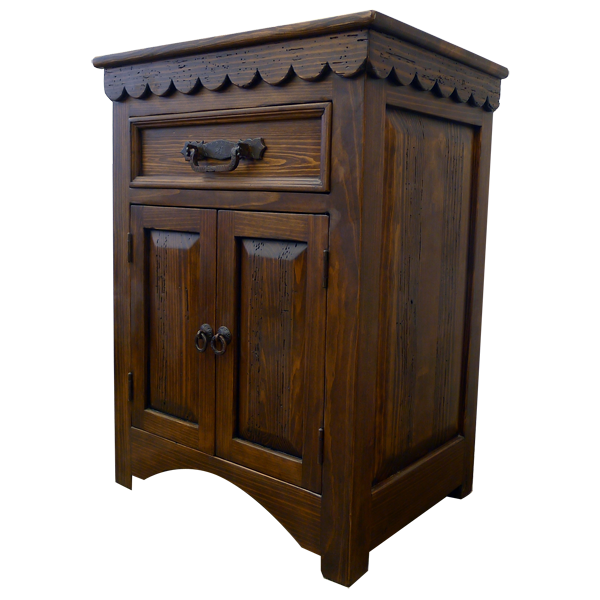 With its soft, brown finish this handcrafted, Spanish colonial style end table will blend easily with your existing décor. 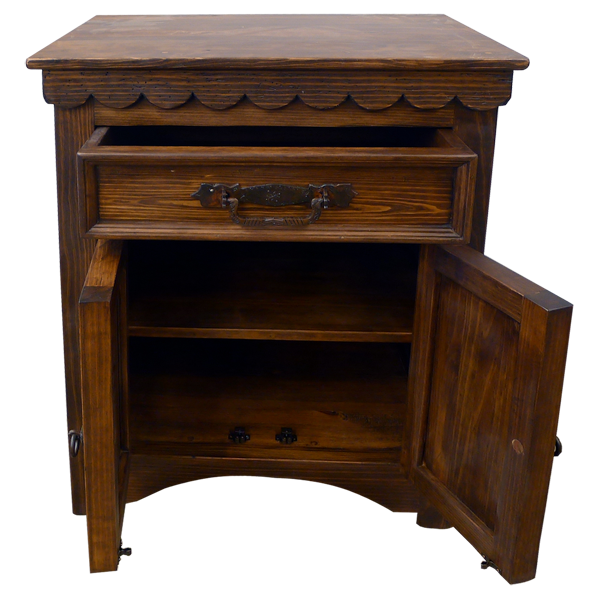 The end table has a wide top, and directly below the top is a beautiful, scalloped wood cut design. 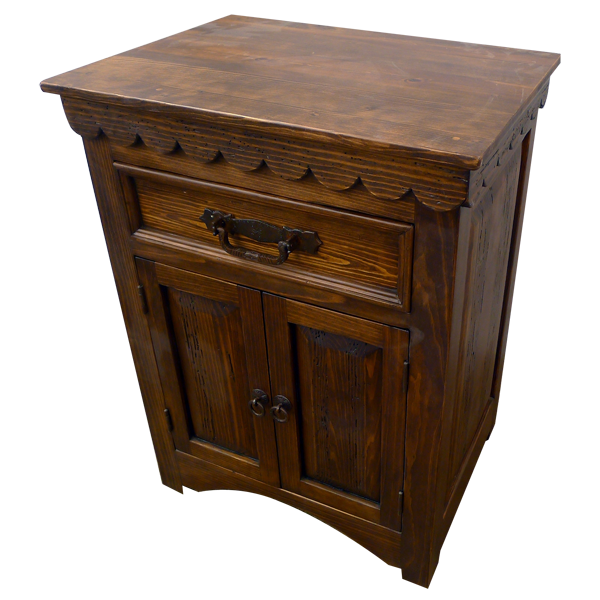 For practical storage, the end table has a drawer, and the drawer has a hand forged, iron handle. 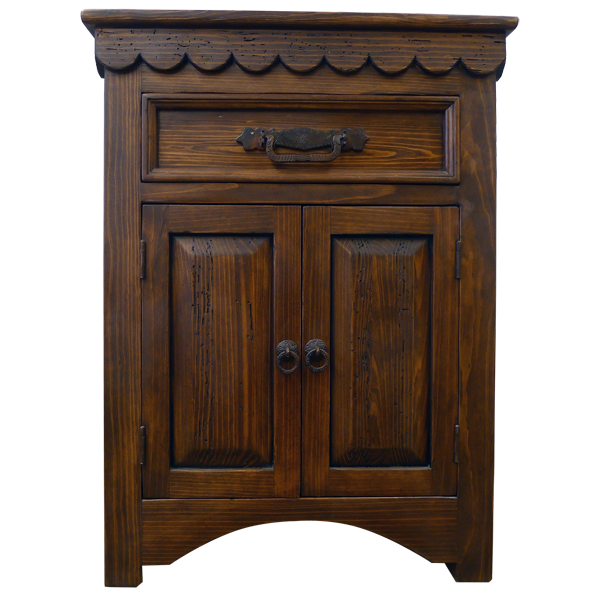 This end table features two rectangular cabinet doors, and each cabinet door has a hand forged iron, pull ring on the side of each door. There is a decorative wood panel on each side of the furniture, and it has ample inside storage space. Additionally, the end table is built with a curved base, and it rest on wood feet. Made with the best, sustainable, solid wood available, it is 100% customizable.